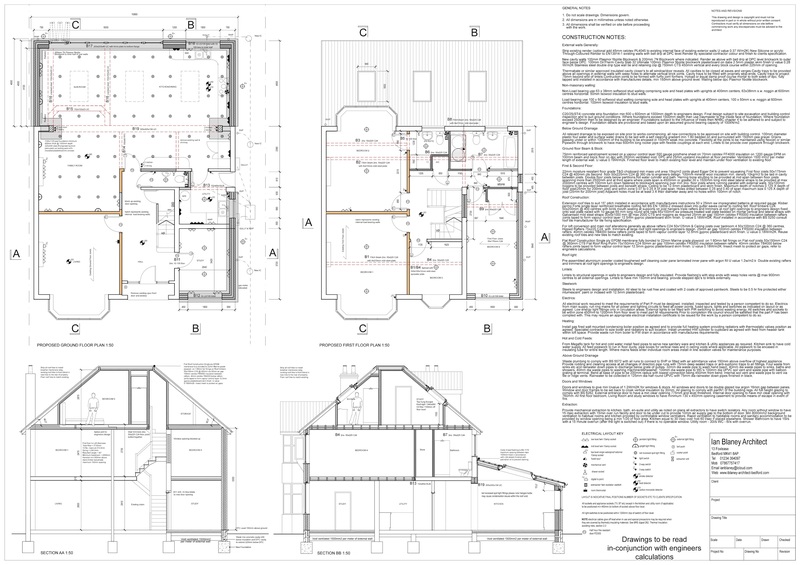 The first step is a complete measured survey of your property and the production of existing drawings and initial concept designs are developed to meet your requirements. 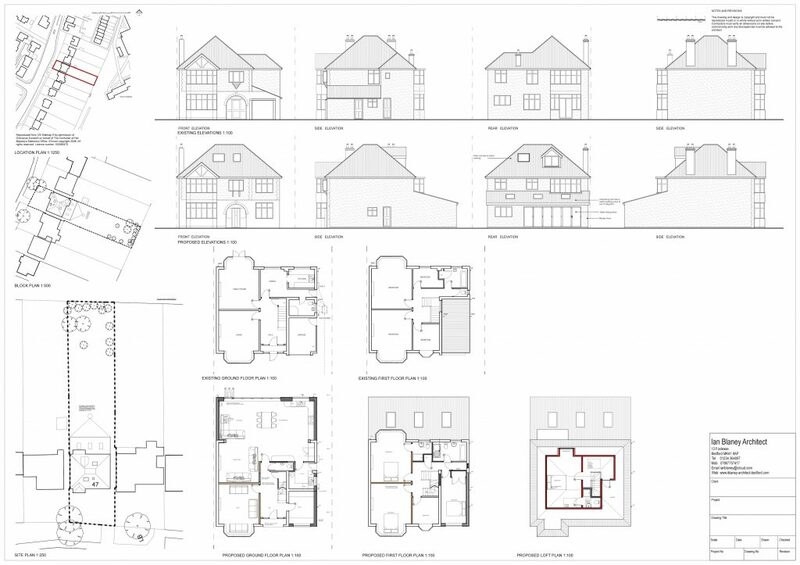 The designs are developed into final proposals which are submitted for planning permission or if deemed permitted development a lawful development certificate. Once the application is logged the decision is usually made within eight weeks for full planning and six weeks for a lawful development certificate. After you have gained planning permission the next step is to obtain building regulations approval, this normally takes six to seven weeks. Once you have approved drawings these can then be distributed to a selection of builders for pricing and then construction. There is a clear distinction between the two sets of drawings, the working drawings are a progression of the planning drawings.